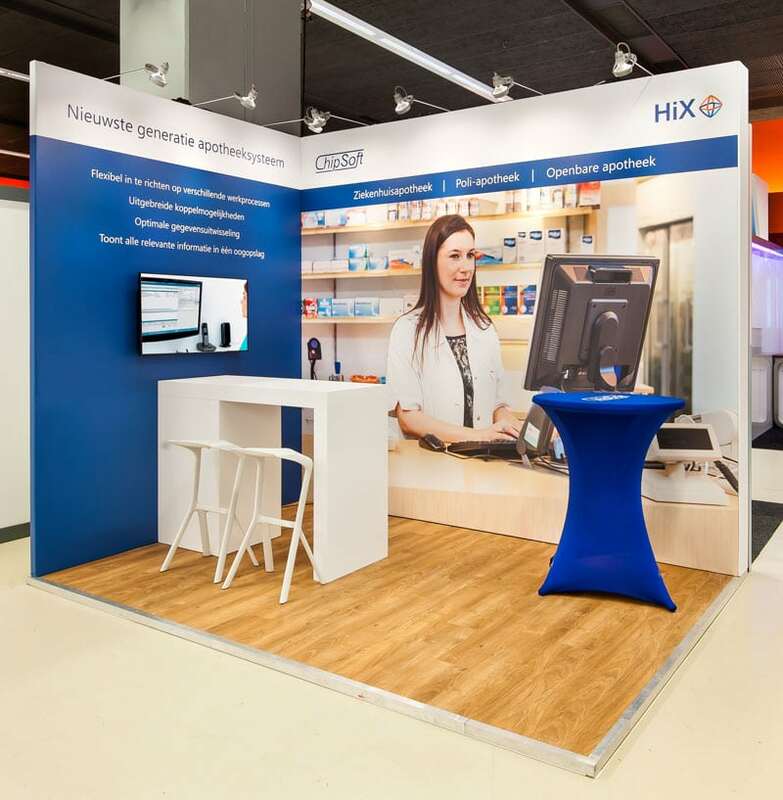 A modular stand that can be used for a 8 m2 trade fair space, and just as easily for 110 m2. 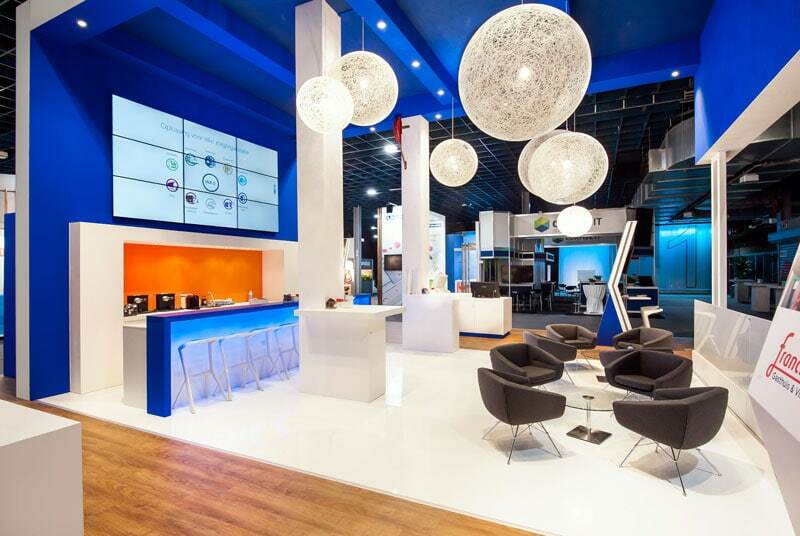 That is exactly the kind of challenge we live for. 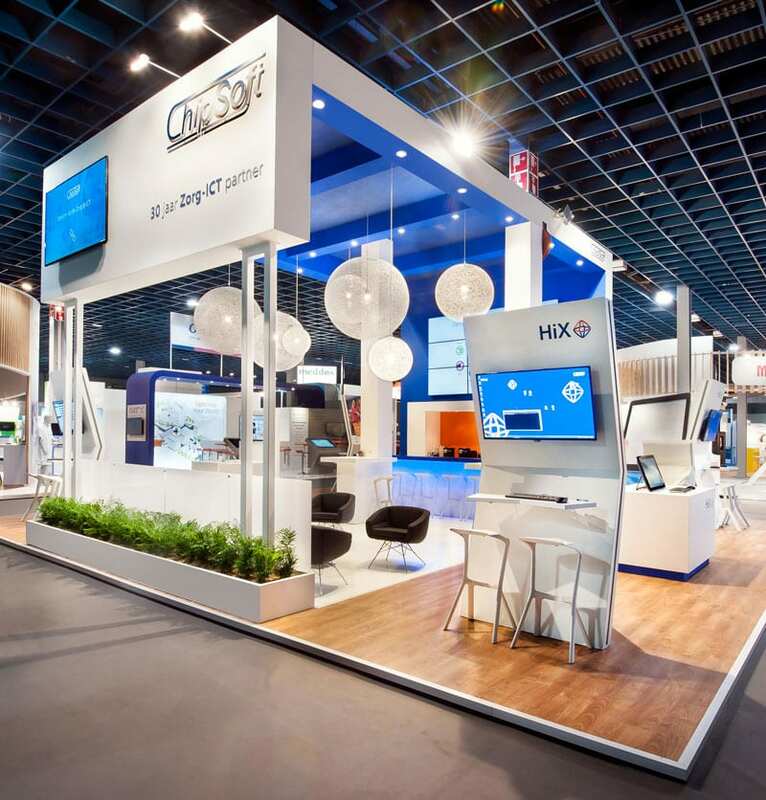 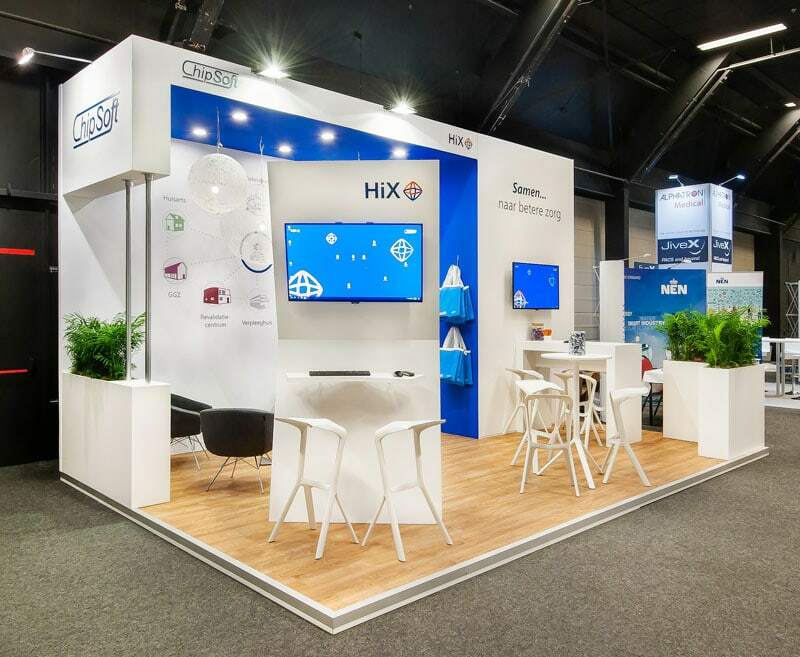 Chipsoft present their HIX product at more than fifteen exhibitions in the Benelux each year, and the available space varies enormously from one exhibition to another. 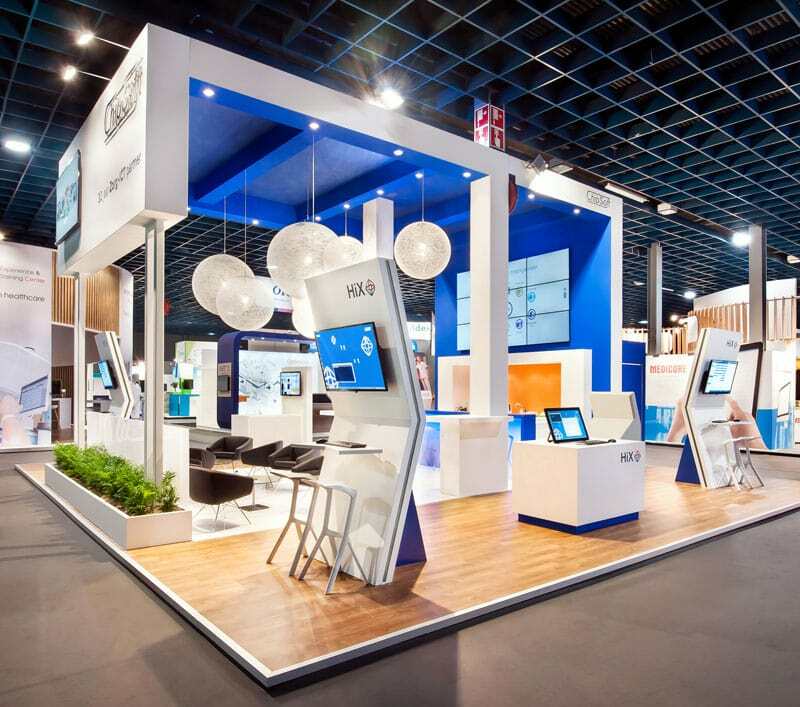 The appearance of the stand is recognisable and uniform, no matter what the size. 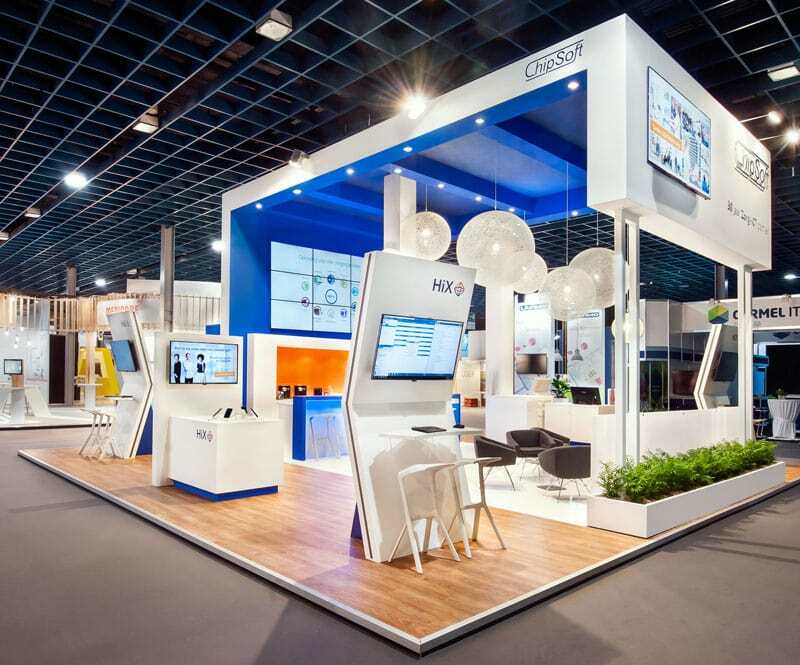 An accessible stand with a high-tech, luxurious look is the result with which Chipsoft will colour the exhibition landscape in the coming year.